For some extra info, here’s an extract from Underground Kent detailing exactly what a drop redoubt is… Put simply, a redoubt is a detached outwork of great strength from which soldiers can fire in any direction, without flanking defences. The Drop Redoubt is certainly a formidable looking structure even now, with its massive walls, bombproof casemates and the caponiers providing excellent means of defence. Surrounding the Drop Redoubt is a dry ditch system over which the caponiers would have provided fire against any enemy infiltration. Known as Lines, they served a very similar purpose to mediaeval moats. The East Ditch leads from the Drop Redoubt to the harbour, and on the opposite side of the Redoubt, the Line extends out towards the Citadel. This was essential as the Citadel served as a place of final retreat should the rest of the Western Heights fall to the enemy. Access to the Redoubt was via a bridge, the evidence of which is still very clear. Once through this entrance, the officers quarters are on the right, and a guard room and cells on the left. The bombproof barracks are on the other side of the structure, and could have housed 90 men. Married soldiers also had quarters here, and they were situated opposite the bombproof barracks. 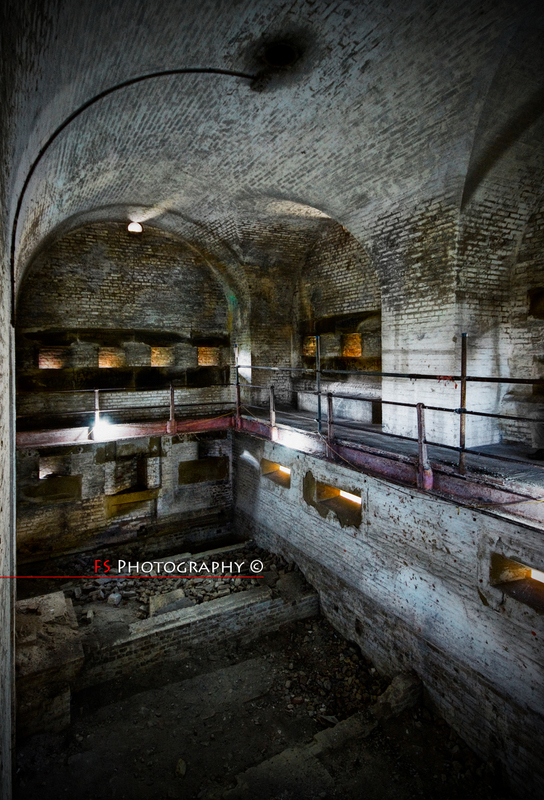 There are 4 caponiers in the Redoubt, each with a gun room. There are also 3 gun rooms overlooking the East Ditch, and two more gun rooms to provide gunfire over the Line leading to the Citadel. The main magazine is situated by the married quarters, with further magazines attached to each caponier and the gun rooms defending the ditches.